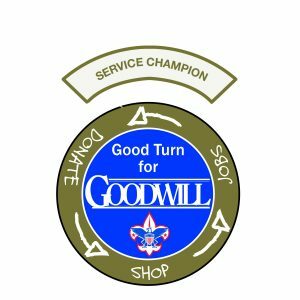 Boy Scouts: Good Turn for Goodwill 2018 Results! Congratulations and thank you to the participating Boy Scouts from this year’s Good Turn for Goodwill Donation Drive! We are proud to have had participation from Scouts across the North Florida area, collecting items for our local Goodwill stores. These donations are the cornerstone of outreach and help to support our mission to help people with barriers become employed. Congrats to our awesome Scouts! We look forward to next year! Congratulations to Connor of Troop 26 for collecting 328 bags and earning our Scout Grand Prize! Pack 535 will also receive GOLD patches from their total Troop participation of 421 bags doanted.